Contoured supports can be used on chairs, car seats, wheelchairs, sofas or beds. 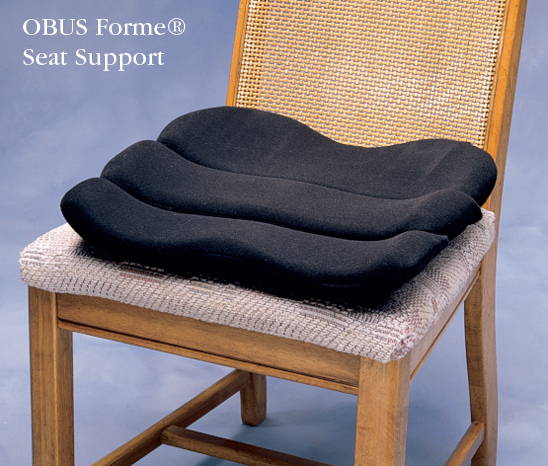 Obus Forme® Seat and Back Supports are lightweight, portable and fit the natural contours of the spine. 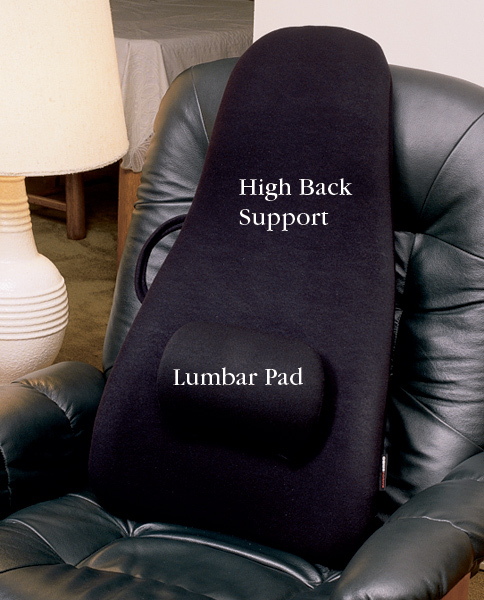 Firm, comfortable supports encourage good posture and prevent slouching while sitting, a major cause of back pain. High Back model measures 18" x 31" (46 x 79cm). Both back supports include a detachable Lumbar Pad that can be positioned as needed. 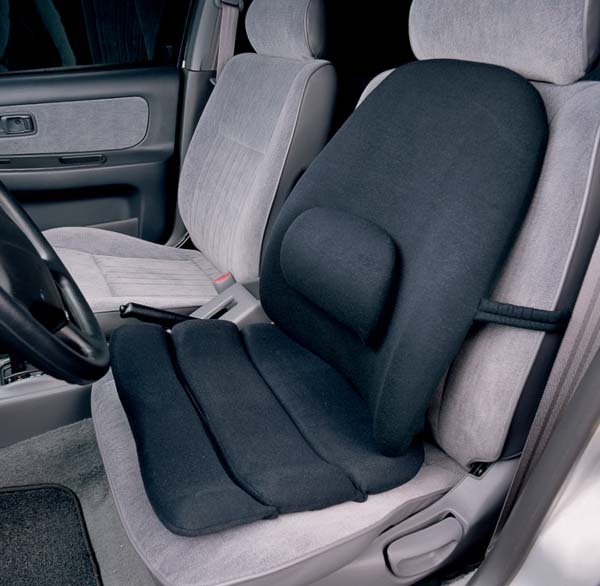 Can be attached to either back support with the hook and loop tab fasteners. 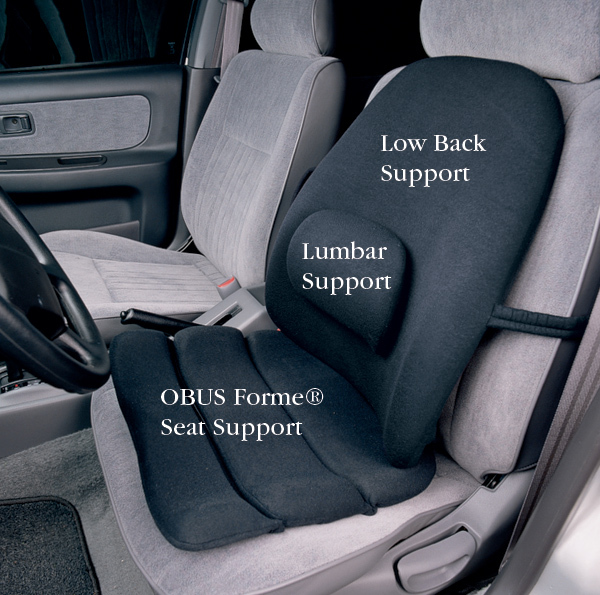 The front section of the Obus Forme® Seat may be removed to adjust for seat depth. 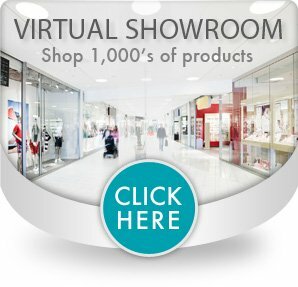 All items are black in color.